Hand-held electronics protection solution. Watertight, crushproof, and dust proof. Easy open Double Throw latches. Open cell core with solid wall design - strong, light . O-ring seal. Automatic Pressure Equalization Valve. Convoluted foam is in the lid only and pick n pluck foam is in the body. Lifetime Guarantee of Excellence. 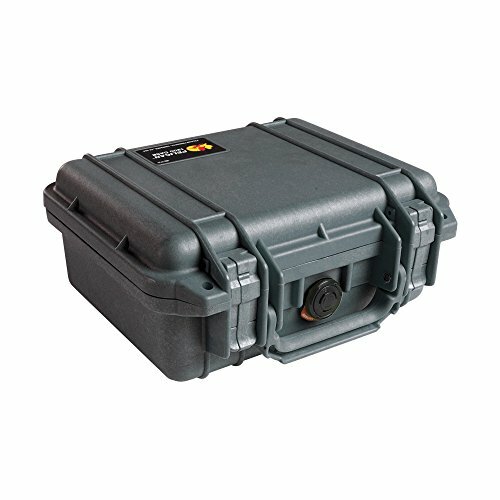 Interior Dimensions: 10 1/2" x 6" x 3"
Pelican Digital Protection Cases. Protect and display iPads. 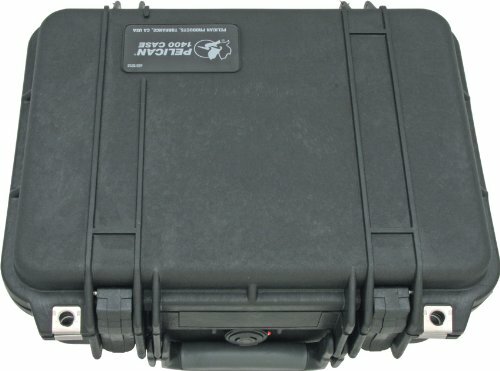 With a design produced from a partnership with BMW Design Works, this streamlined, crush-resistant case features the same military-grade attributes as Pelican's classic case products (including a watertight O-ring seal with automatic pressure equalization valve). Its interior features a shock-absorbing plush foam liner with impact-protection cell cushions and an elastomeric frame (fits generations 2 - 4) that secures the device in transit. The frame also features an ear-bud / speaker port and can act as a four-position adjustable stand allowing the user to show presentations and movies on the go. In addition, to reduce glare, the lid of the case can act as a shade. 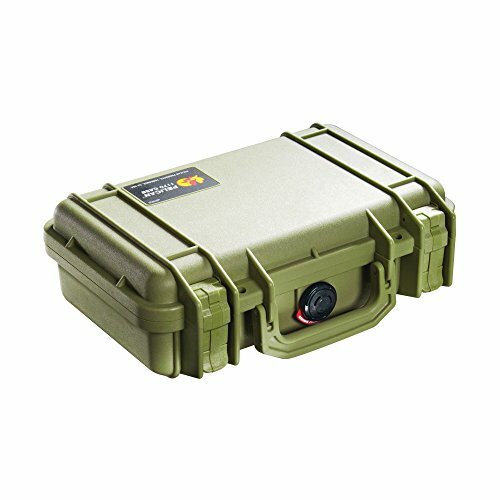 Already a world-renowned brand in the military, industrial safety and tactical industries, the Pelican ProGear line is comprised of a wide range of cases and lighting built especially for the digital protection and extreme performance needs of adventurous people. Custom 5 pistol insert to Fit Pelican 1500. Includes lid foam. Custom 5 pistol insert to Fit Pelican 1500. Brand new Pelican 1500 custom 5 pistol / handgun insert. This insert is designed to hold 5 pistols, sized up to a 1911. Holds 5 pistols, 18 clips. This is made out black crosslink over a polyethylene black foam middle. 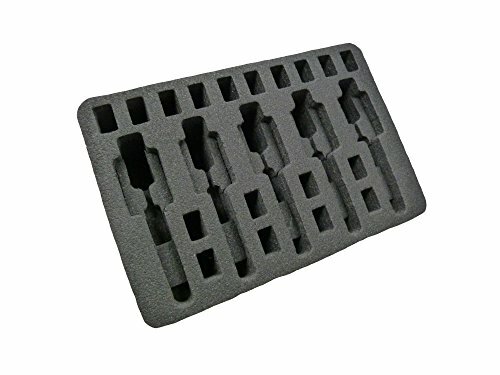 Much firmer/stronger than the grey pluck foam that comes with standard cases. The picture is exactly how it comes. The foam is pre-cut and ready to go. This is a perfect pistol travel case. This foam will hold up much better to oils and cleaning solutions. 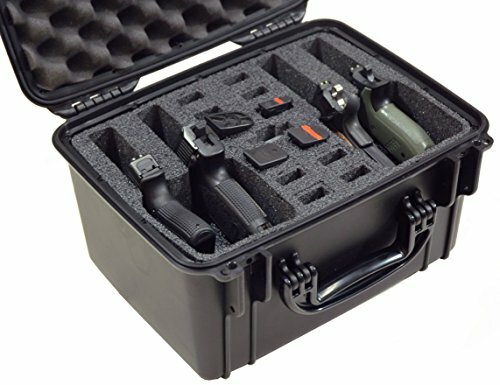 This multiple pistol case holds up to 4 pistols with 12 extra magazines The 4 pistol case is 100% Waterproof, Dustproof & crushproof. Hydro absorbent silica gel included to prevent rust. Foam insert is (closed cell) military grade polyethylene which can be wiped clean. This four pistol case is padlockable. 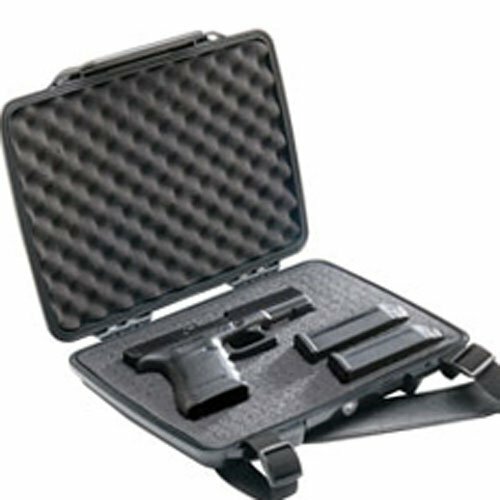 This multi pistol case is Airline Approved for checked luggage. Quick draw design allows quick access. Compact design leaves no wasted space. (Outside Case Dims. 14.90" x 12.10" x 9.60"). Max length of pistols is 8 5/8". This hard pistol case is not intended for revolvers or snub nose pistols. (See our 4 Revolver Case which properly fits revolvers). 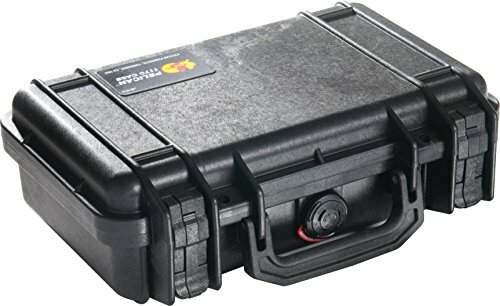 These universal pistol cases are manufactured in America by Case Club. 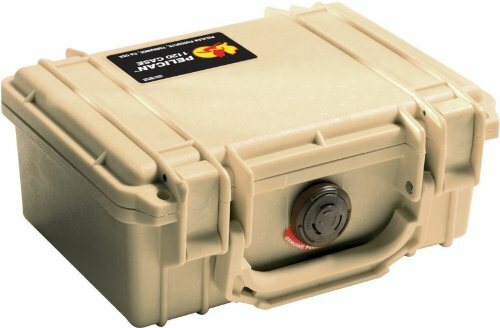 Pistols & shooting gear depicted in this gun case are not included. Be sure to check out all our universal multiple gun cases! 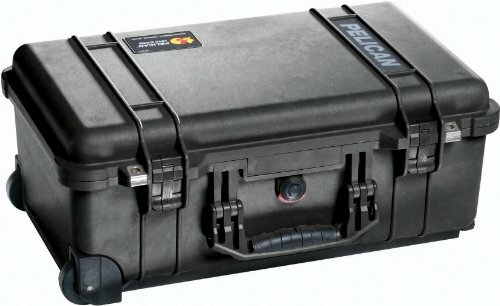 Pelican, 1170, CPC, Pistol Case, 11.64"x8.34"x3.78", OD Green. RSR Group is a nationwide distributor of firearms and shooting sports accessories. This product is manufactured in United States. 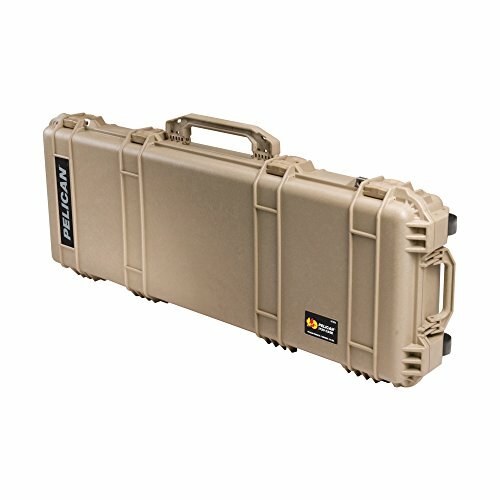 Copyright © Wholesalion.com 2019 - The Best Prices On Pelican Pistol Case Online.